Last week, ConnellGriffin Pty Ltd Advisors attended the 10th Annual Victorian Infrastructure Conference. 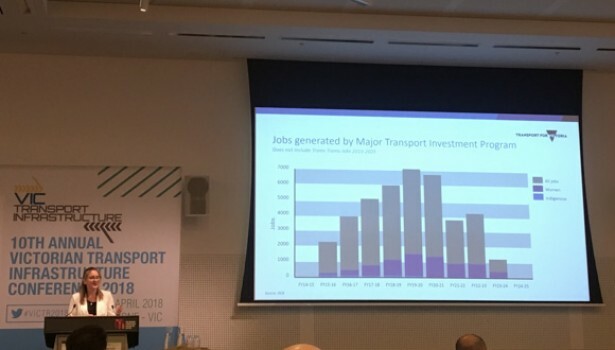 The theme of the conference was ‘Moving Victoria Forward’ and it was exciting to gain insight into many of Victoria’s current and upcoming major projects, and to meet the people who are making them happen. This included the Hon. Jacinta Allan, Minister for Public Transport, who spoke about such project as Melbourne Metro, Level Crossings Removal Project and several rolling stock projects. Hello again to all our new acquaintances!